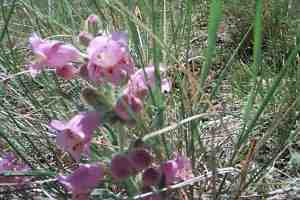 Do you realize that there are over 300 species of Penstemon? Let's see, at one per day, we could pretty much knock out the next year looking at different colours and shapes of tubular asymmetric flowers. What do you say folks? Can you take that much excitement?